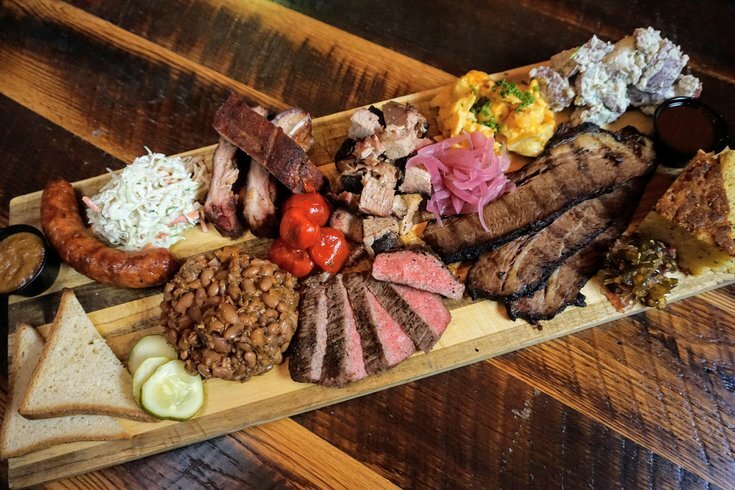 Tradesman’s is a massive new beer and barbecue restaurant in Midtown Village. A beer, barbecue and whiskey spot is opening in the historic Tradesman’s Trust Company building, which was erected in 1906. 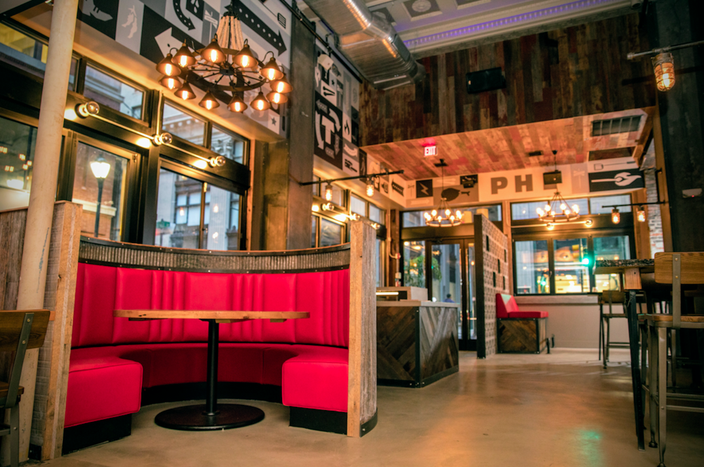 The new Midtown Village restaurant, Tradesman's, will open its doors Thursday. To eat, there will be meats smoked "low and slow," or grilled to order. They will be served with a side of white bread, pickles, onions and a selection of housemade barbecue sauces. Sides – like cornbread, mashed potatoes and collard greens – will be $5 each, or pick four for $16. Also on the menu will be sandwiches, elevated pub food and a "From the Farm" section with options for vegetarians. 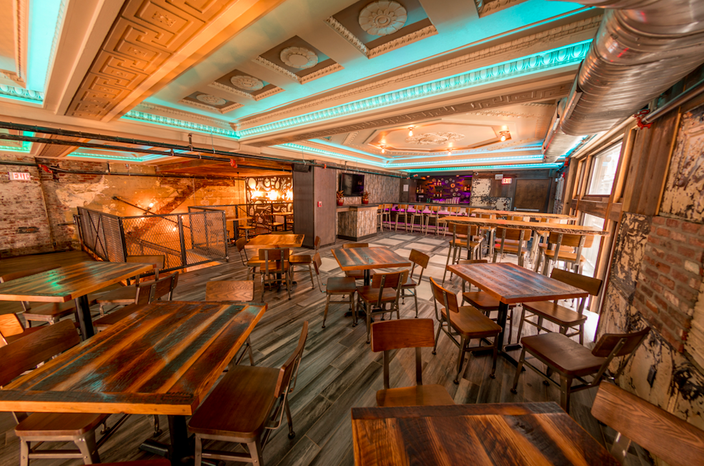 As for the beer, Tradesman's will have 34 drafts, pouring exclusively American independent craft beers and ciders. They will also have a larger focus on cans than other bars. For the whiskey lovers, when Tradesman's opens, there will be 80 choices. 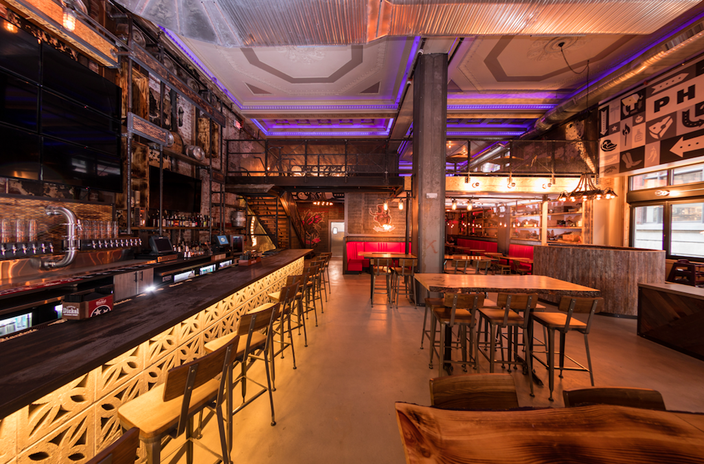 By September, the bar plans on being stocked with 120 whiskey varieties. And if you're not a beer or whiskey drinker? You can grab a glass of wine. When happy hour starts in the fall, there will be a selection of signature cocktails, too. Tradesman's will open at 5 p.m. on Thursday. After opening day, the restaurant's hours will be 4 p.m. to 2 a.m. during the week and 11 a.m. to 2 a.m. on Saturdays and Sundays. It's located on the 1300 block of Chestnut Street. Below is a first-look at the space, which is 6,000 square feet and can seat up to 200. There are two levels, large windows that open out to Chestnut and Juniper streets, original ceiling work and three bars. 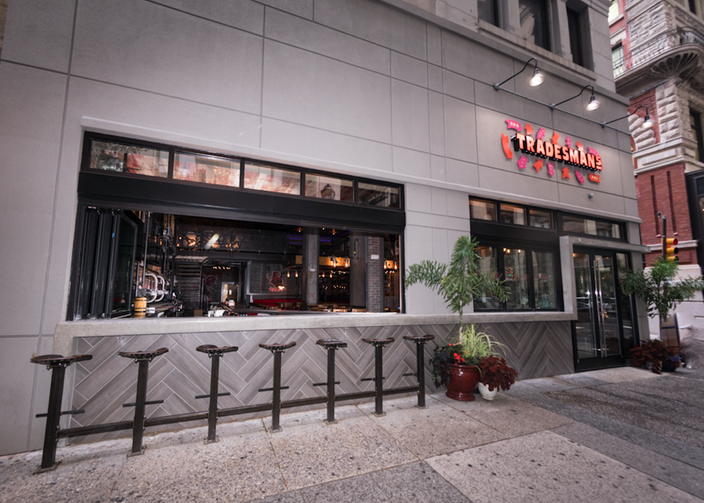 Tradesman's is owned by Teddy Sourias’ Craft Concepts Group, which also includes Brü Craft & Wurst, U-Bahn, Finn McCool’s, Cinder Copper & Lace and the seasonal Uptown Beer Garden. Tradesman's features a sweeping main bar, a secondary bar, kitchen, dining room and bathrooms on the first floor, with additional dining, bar and restrooms on the mezzanine. 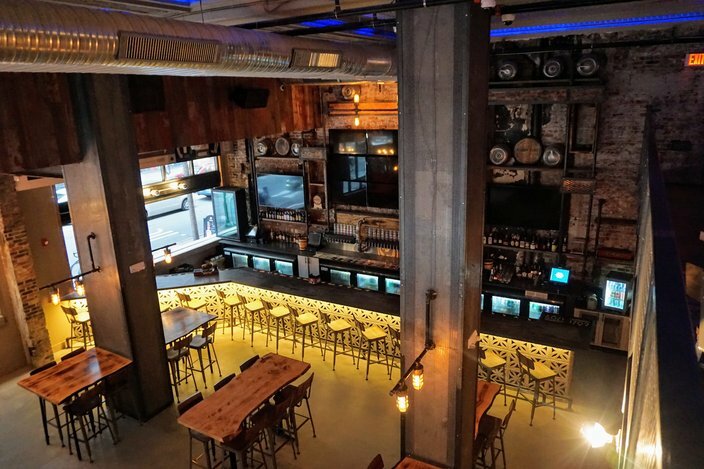 Tradesman's is a two-story space with 23-foot vaulted ceilings. There is historical detail in the original ceiling work. The design for the main space is intended to be modern, open and airy. Tradesman's windows open onto Chestnut Street and Juniper Street.